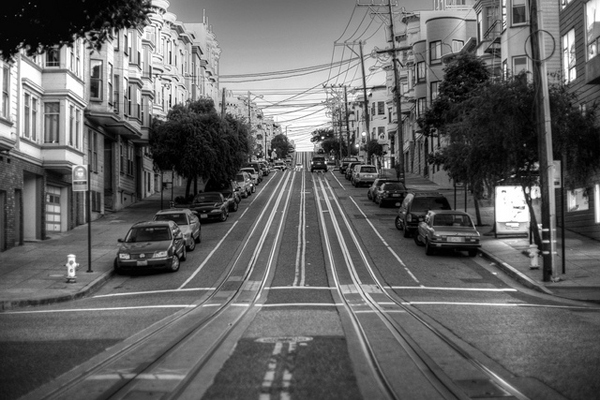 A nice shot of the cable car tracks in San Francisco. Without the modern cars in the photo and the bus stop, this scene looks like it could have been taken many years ago. It was shot in late February of this year. To submit a photo or photos of something transportation-related, post them to Metro’s Flickr group or email them to sourcemetro@gmail.com. The photos we’ve featured can be seen in these galleries on Flickr. Or click on the ‘art of transit’ in the categories box at right.